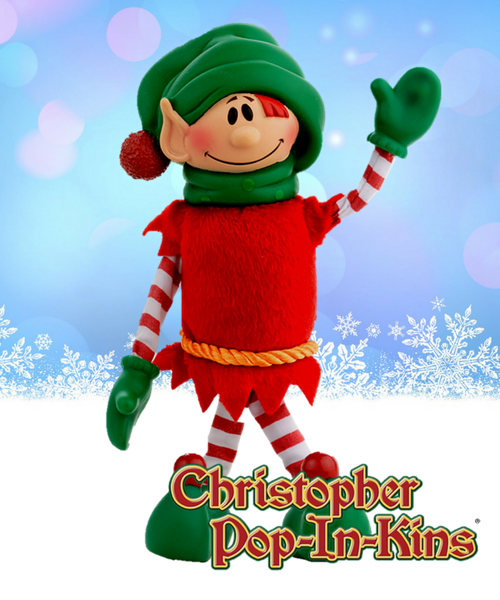 A holiday tradition since 1985, these adorable elves “pop in” to visit special boys and girls throughout the holiday season. 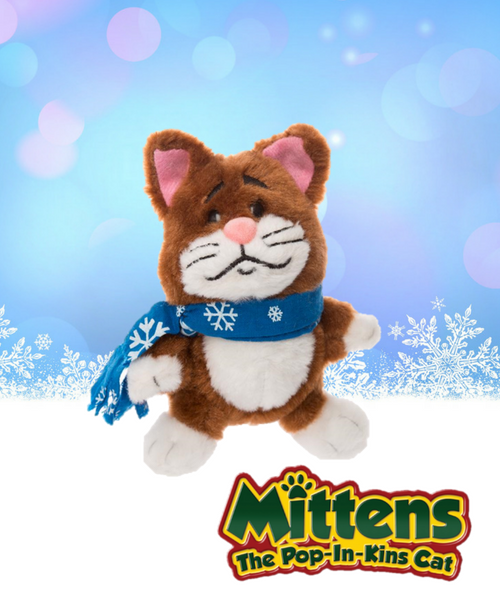 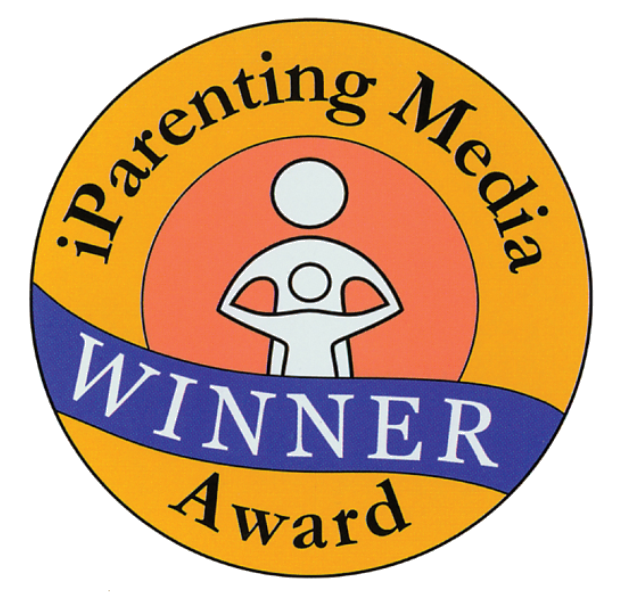 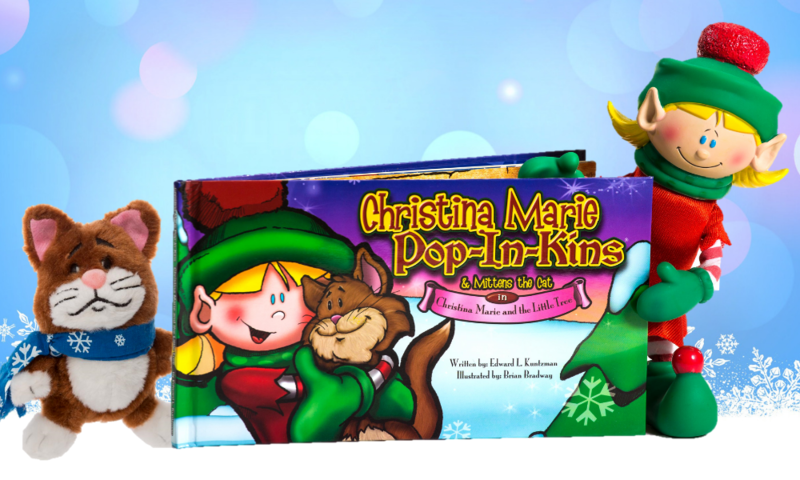 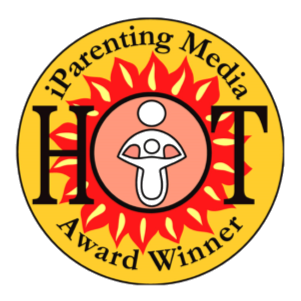 Christopher Pop-In-Kins, his sister Christina Marie, and Mittens the Pop-In-Kins Cat love to play hide-and-seek, share in family celebrations, and create childhood memories that will last a lifetime. 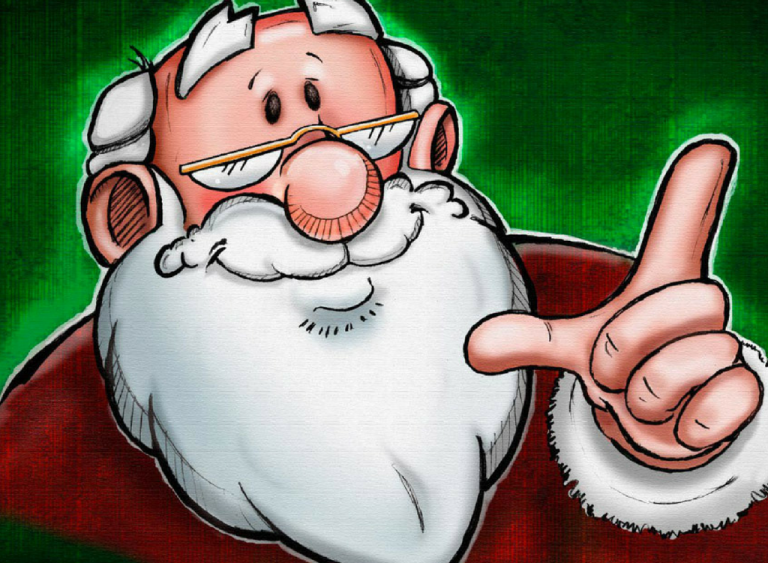 “This is one of the BEST Christmas toys I have seen in ages. 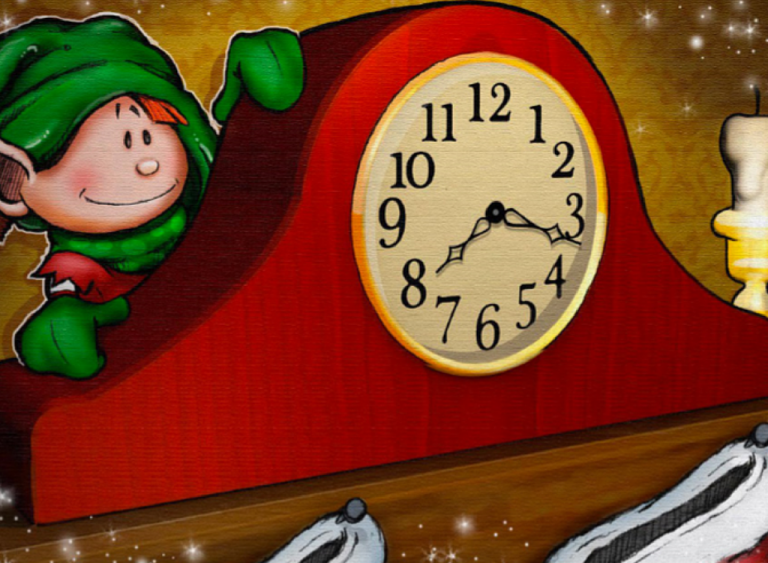 Christopher “pops in” for a holiday visit from late November through Christmas Eve. 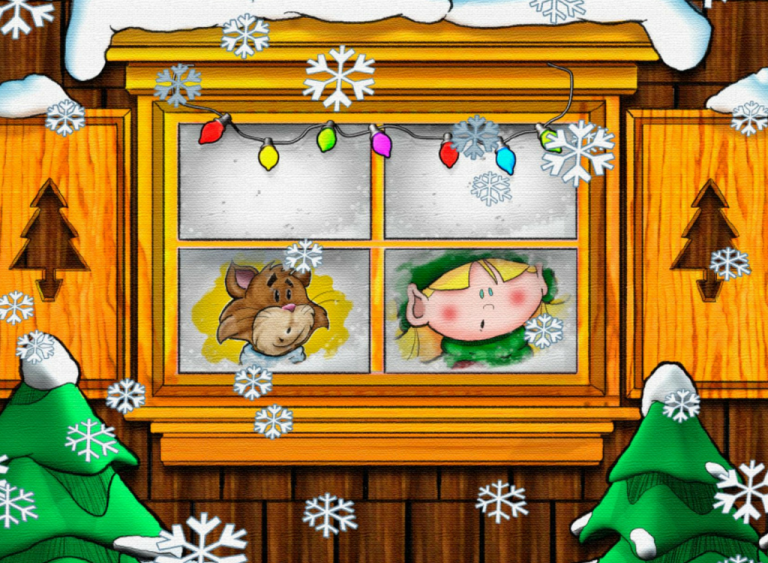 Before Santa packs his sleigh, Christopher must return to the North Pole with a report on his young friends and holiday adventures in The Children’s World. 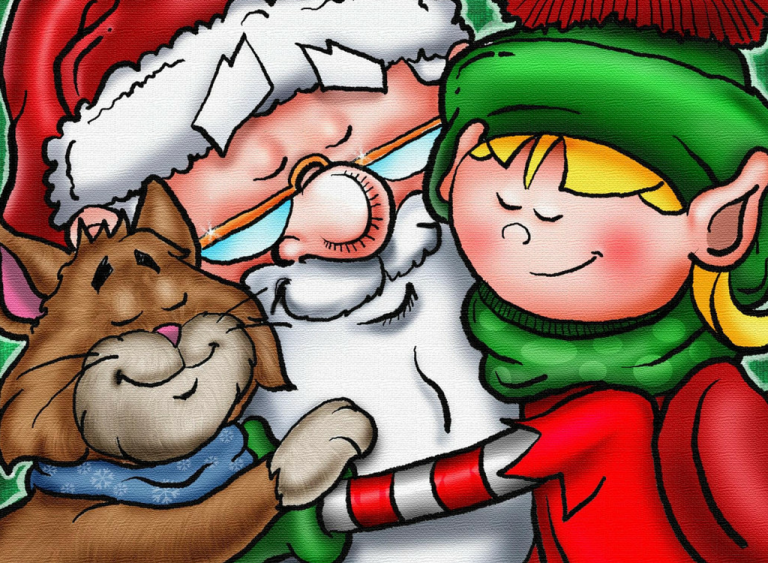 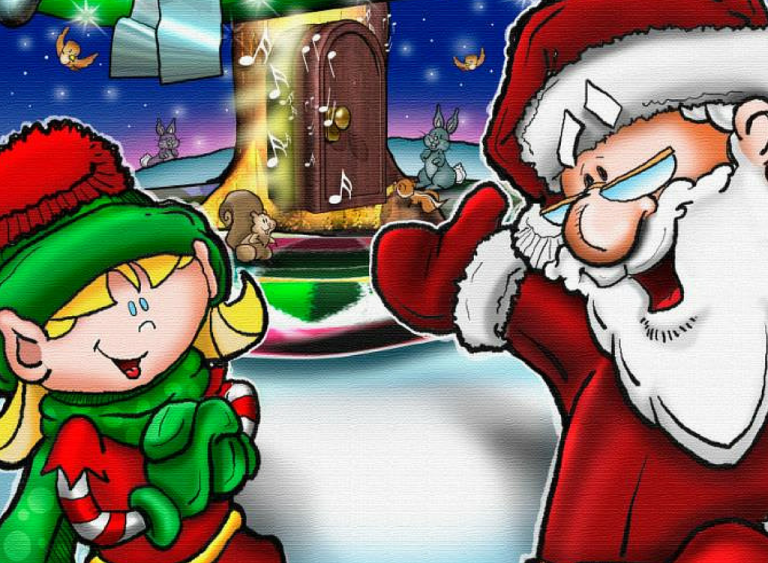 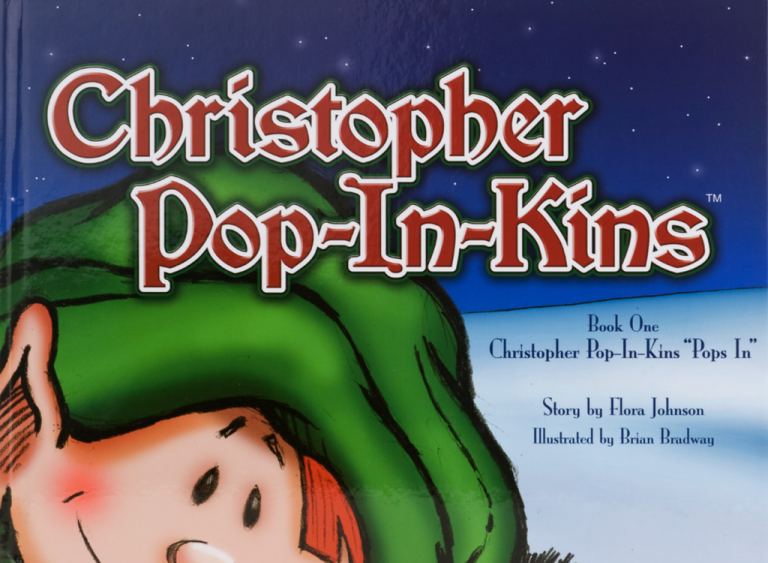 In his story “Christopher Pop-In-Kins Pops In”, Christopher longs to visit boys and girls during the holiday season. 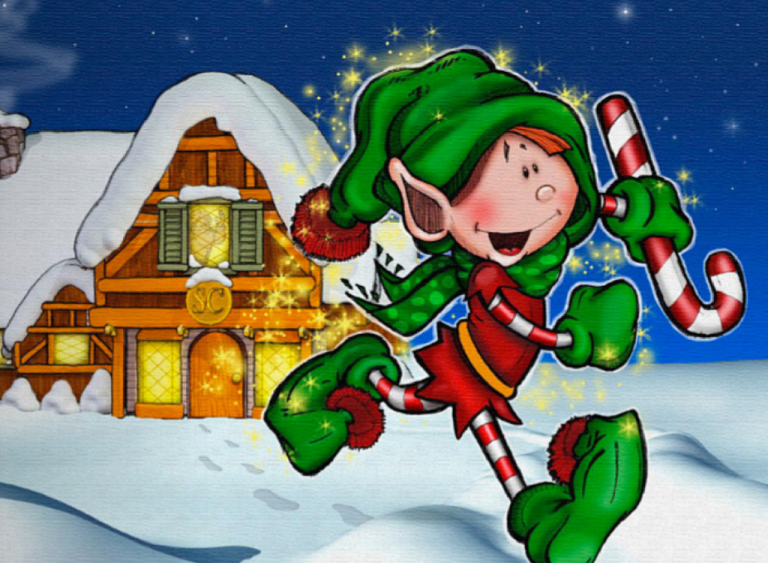 But no elf has ever been to the Children’s World. 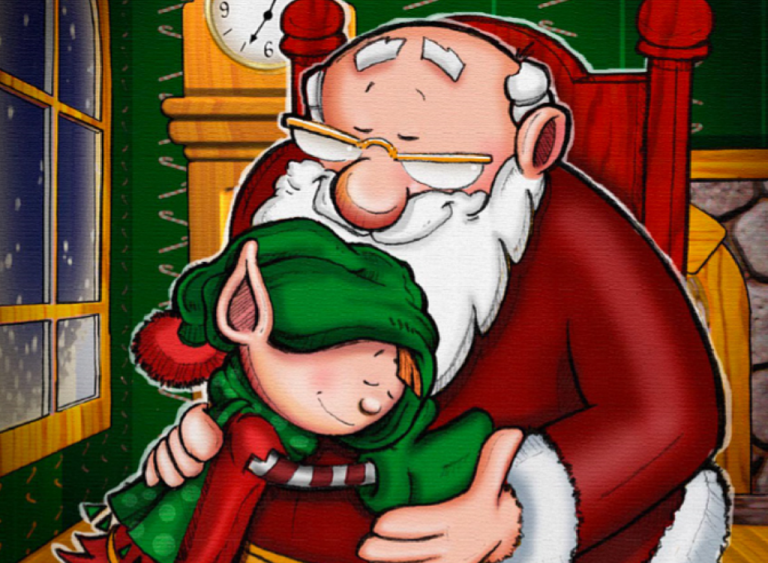 After much consideration, Santa grants Christopher’s wish and the Elf Fun begins. 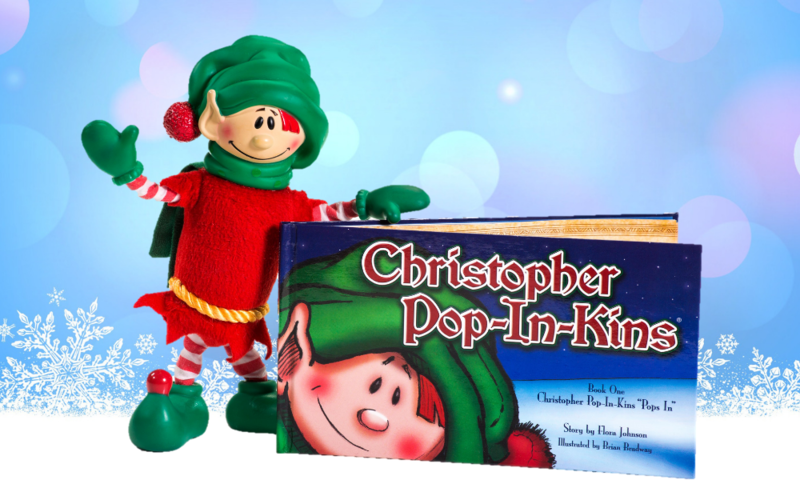 Introduce your children to Christopher Pop-In-Kins, the classic Christmas tradition for families around the world for over three decades. 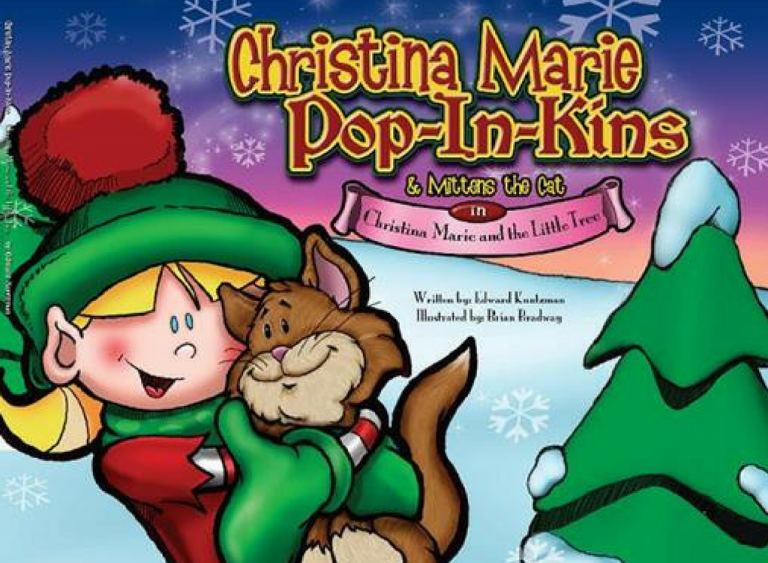 Christina Marie and Mittens the Pop-In-Kins Cat “pop in” with the lighting of the family Christmas tree and stay until the end of the holiday season. 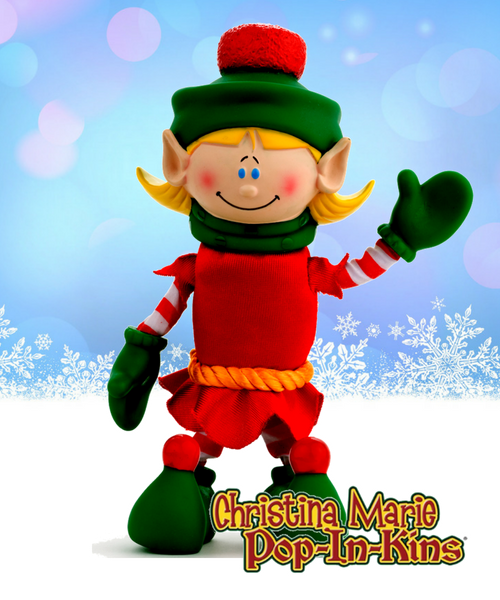 She encourages children to discover the very best within themselves through sharing and acts of kindness. 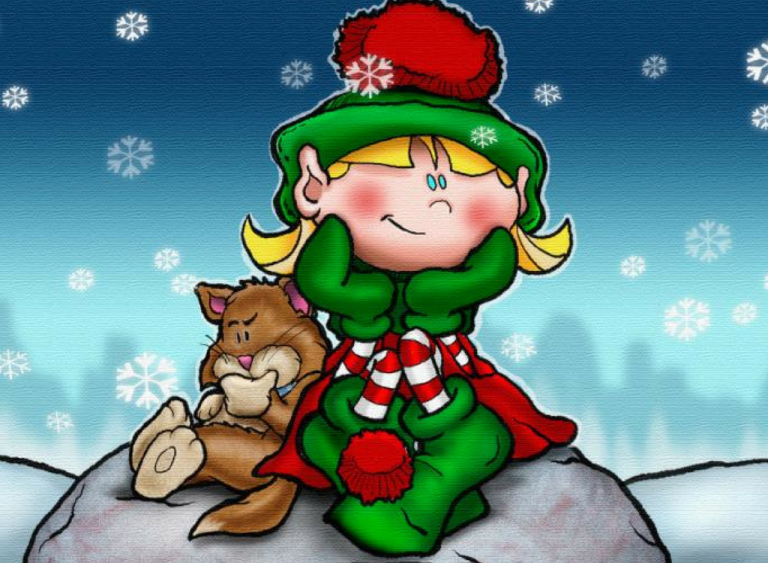 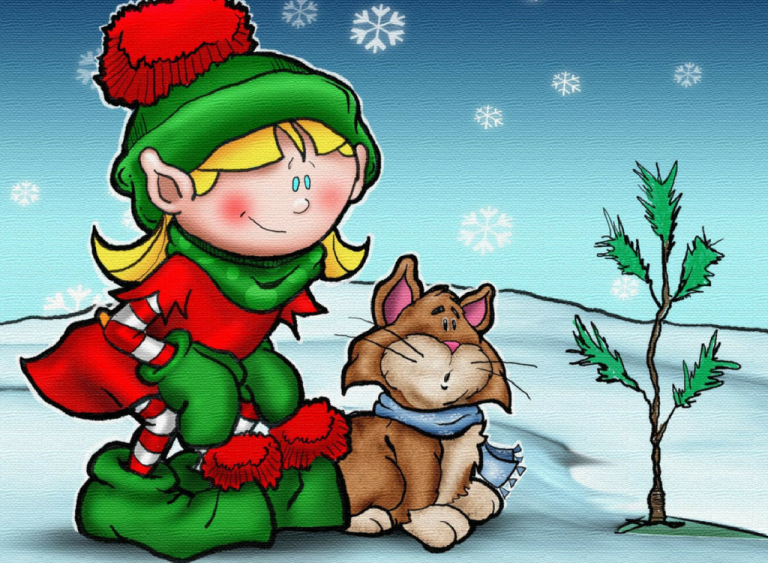 In her own story “Christina Marie and the Little Tree”, Christina Marie and her cat Mittens save the life of a little tree through kindness, friendship and dedication. 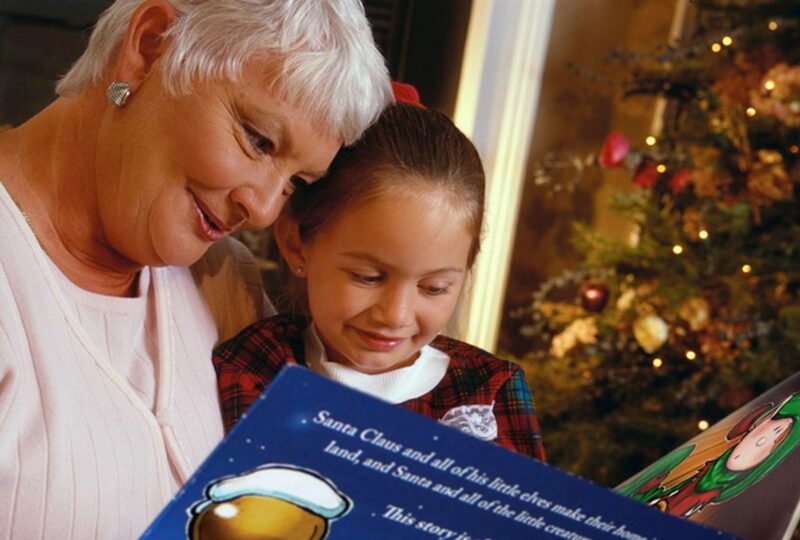 In return, they learn what it truly means to be the very best. 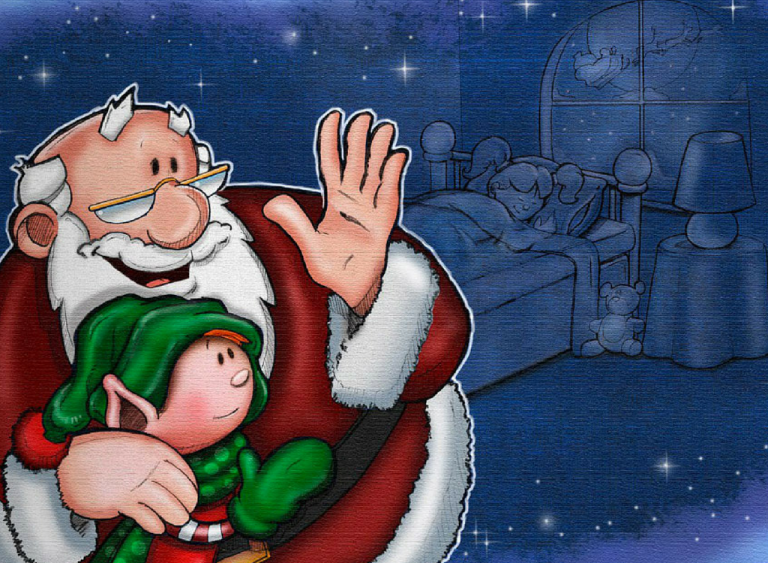 Copyright © 1985 Pop-In-Kins Inc.